Brief Synopsis – Biographical retelling of the evacuation of British troops from certain death as they were stranded on the coast of France with little hope of returning home in 1940. 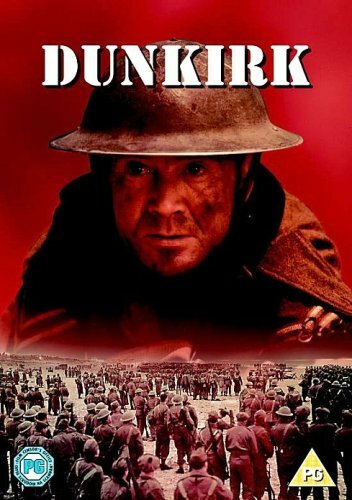 My Take on it – Knowing that I had plans to see the new film about these events this week, I decided to study up on the whole affair by watching this version of the story of the Battle of Dunkirk. This film gives a good perspective on it all since it was filmed less than twenty years after the actual events. They do a great job giving us varying perspectives on the events and we get to see how soldiers on the beach perceive it all as well as the perceptions of the military and political decision makers, the medical personnel trying desperately to save as many of the wounded as possible and of course the civilian volunteers who risked their own lives to save their stranded soldiers. They do a great job giving us enough background on most of the characters in order for us to get a better understanding as to how and why they do many of the things they do later on. All in all, this film gives a great perspective of the overall events that occurred as the British Army felt trapped between the Ocean and the advancing German Army. Bottom Line – Great help in giving a broader view of the Battle of Dunkirk especially since it was filmed less than two decades after the events themselves. Liked the various perspectives shown of the whole situation and the fact that it also gives us enough background on the numerous characters also helps keep things focused. The different perspectives shown give us the viewpoint of soldiers on the ground, medical personnel, the political and military decision makers and also the civilians who helped in the rescue itself. Gives a great overview of the whole event. Recommended!